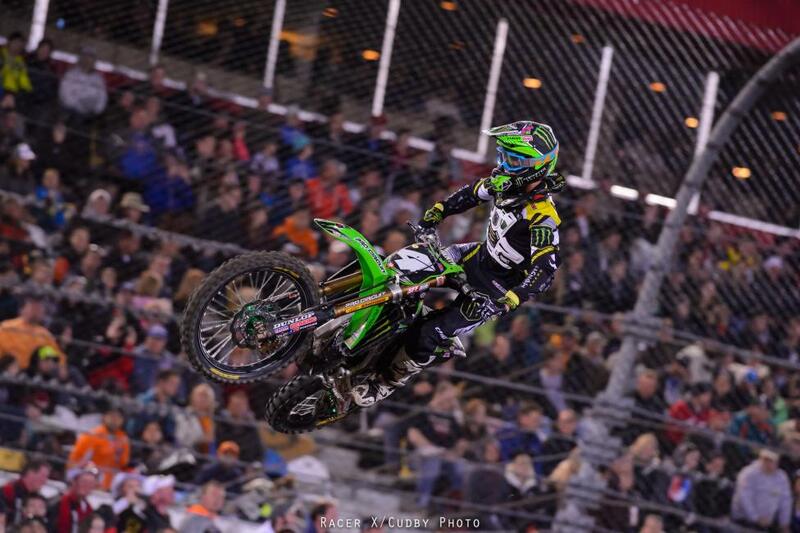 Monster Energy Kawasaki’s Ryan Villopoto moved one step closer to history following a dominating performance at round 10 of Monster Energy Supercross at Daytona International Speedway. 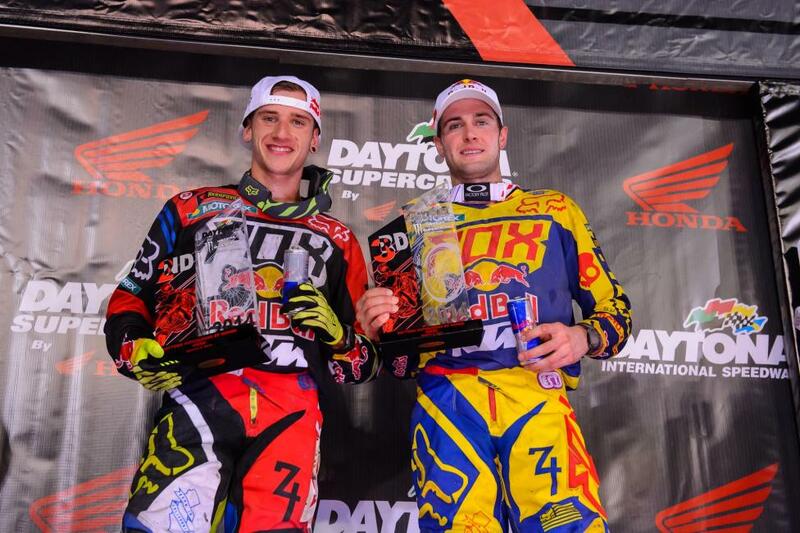 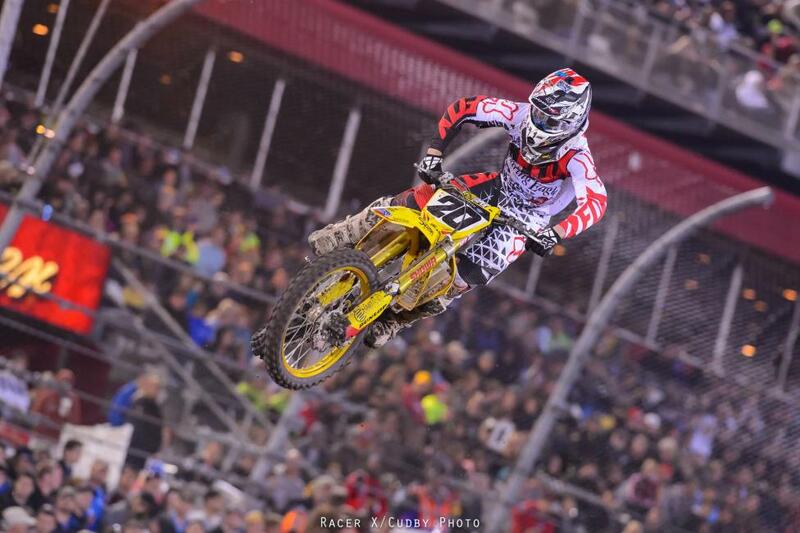 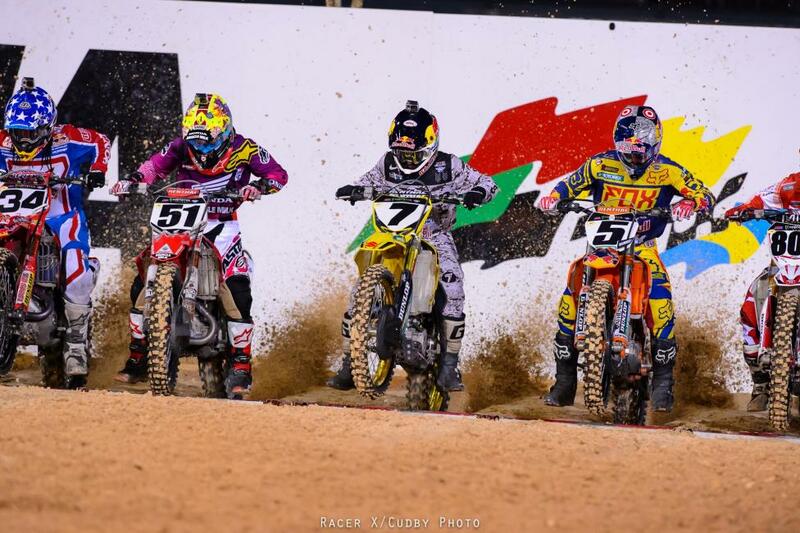 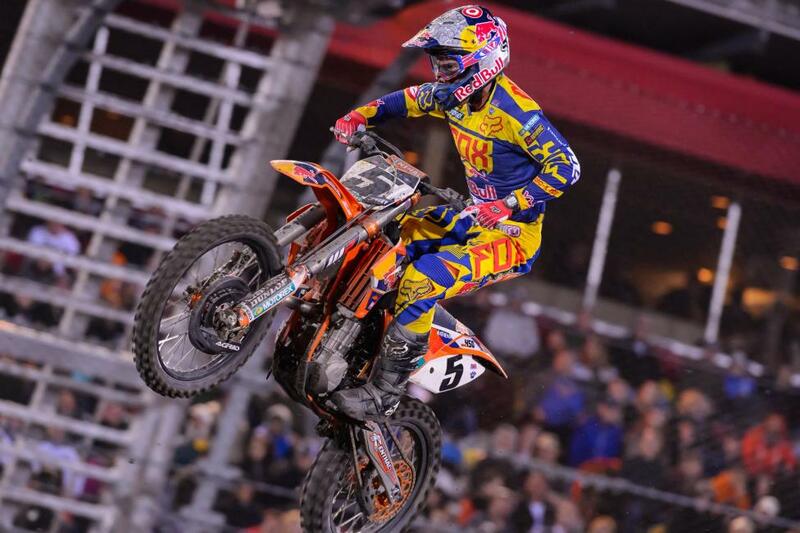 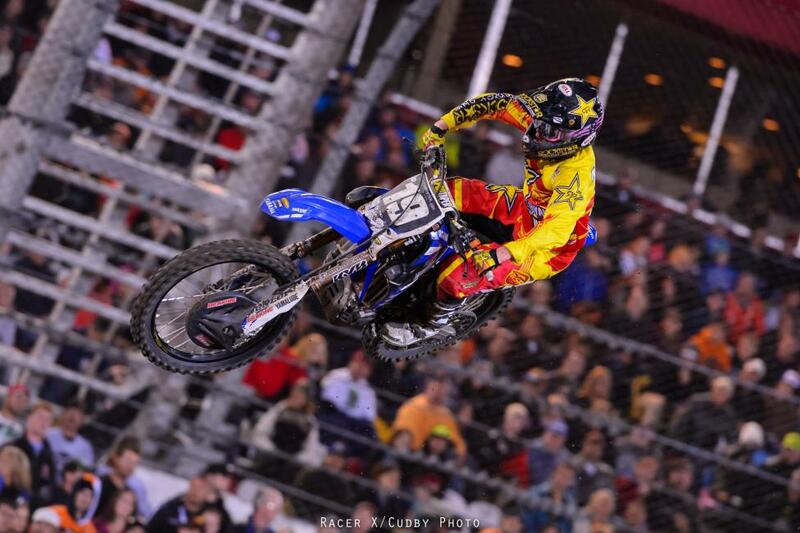 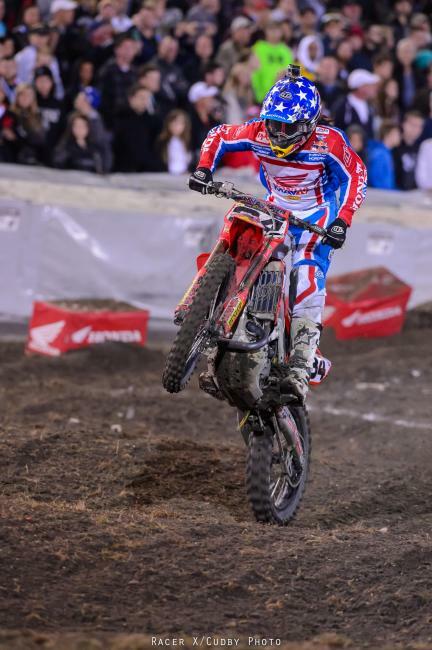 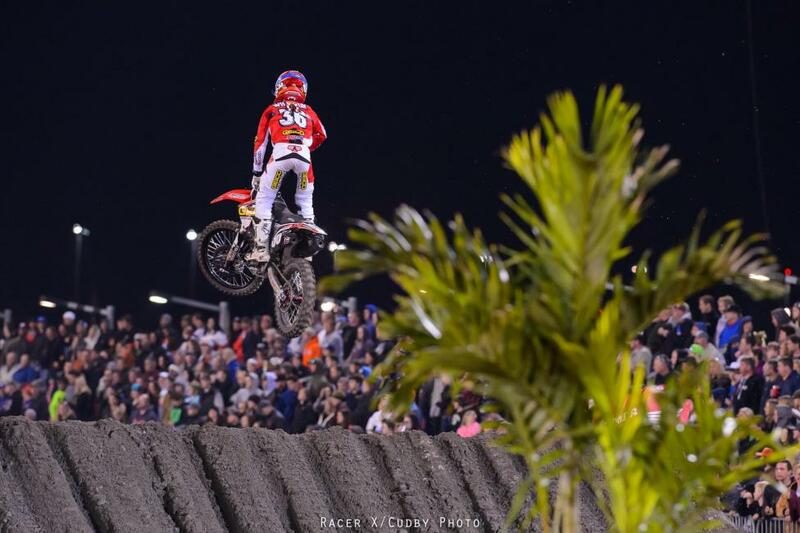 The three-time defending champion held a 23-point lead over Ryan Dungey in his quest to join Jeremy McGrath as the only riders to achieve four consecutive premier class titles. 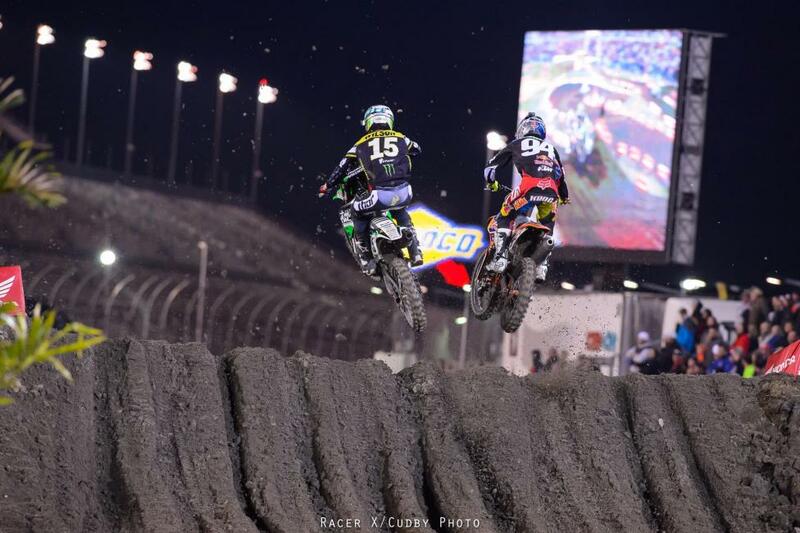 Villopoto tamed the notoriously rough Daytona circuit en route to an impressive win—his first since round 4 in Oakland—increasing his lead to 28 over Dungey. 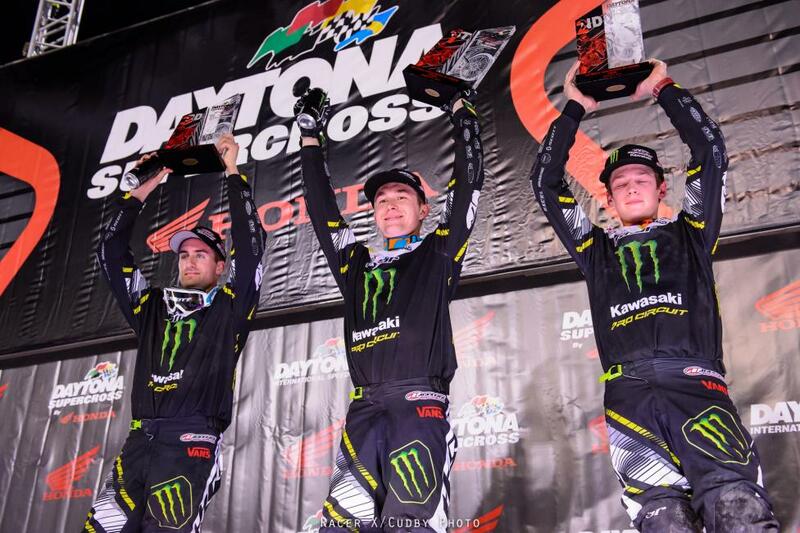 We can put to rest any notion that Monster Energy/Pro Circuit Kawasaki has “lost a step”, as the green crew sweep the podium for the second time in four races. 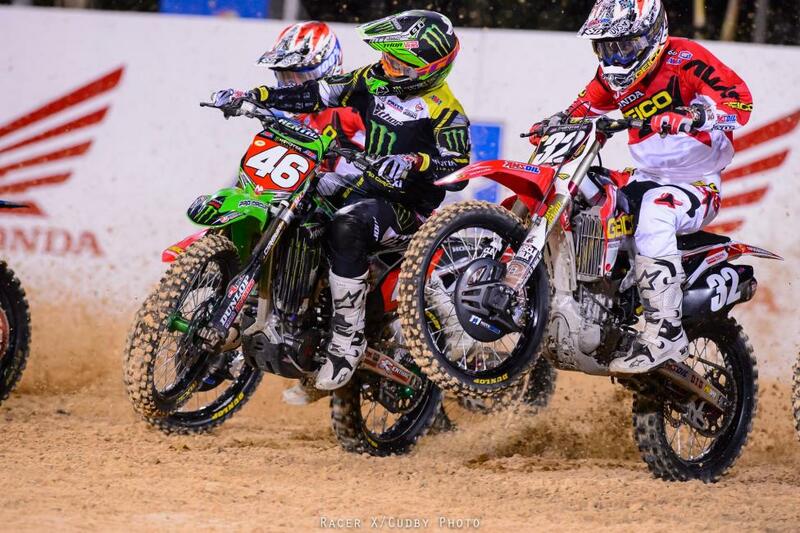 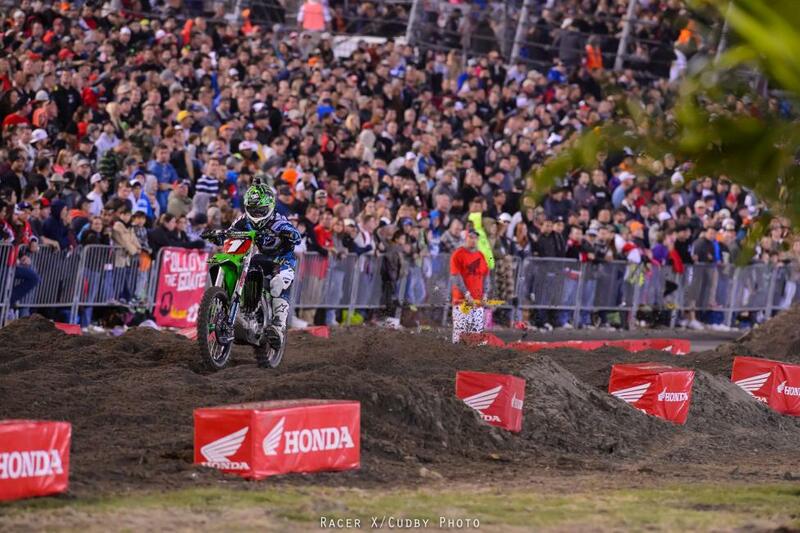 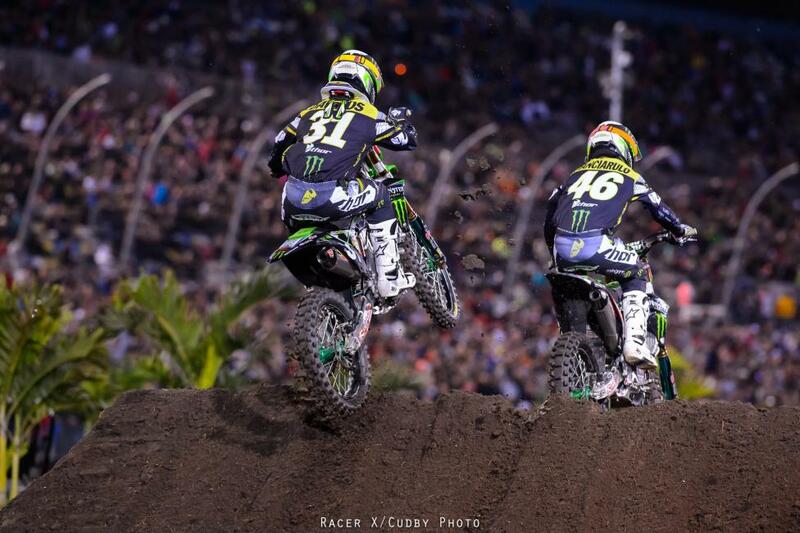 Entering Daytona 18 points back of rookie teammate Adam Cianciarulo, Blake Baggett took advantage of the rough terrain to capture his first win of the season, and his first since Las Vegas in 2011. 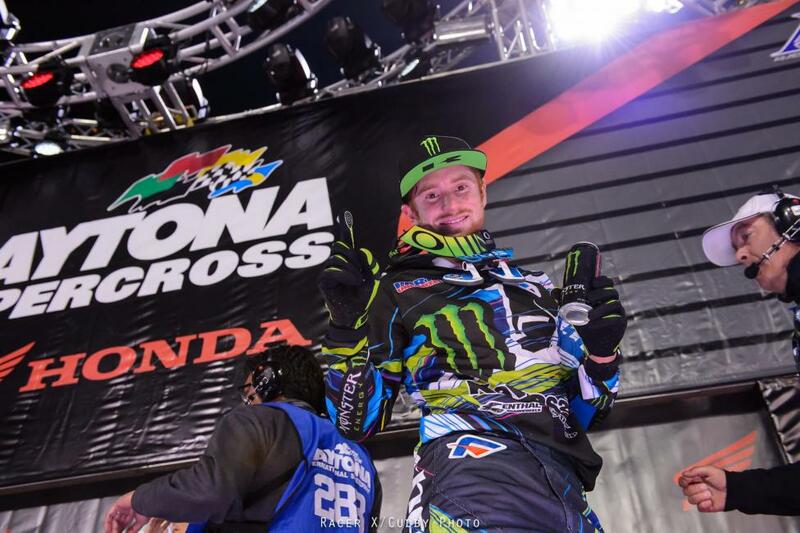 Cianciarulo would maintain control of the points lead following a second, with Martin Davalos finishing off the Pro Circuit podium.